You know what? I love mornings and as much as I love waking up to the warm sunshine bathing my skin as I open my eyes, I really wish I had more control over my body clock. Yes, I can hear most of you going, ‘huh?’. Well thing is, no matter how late I sleep each night (or morning for that matter), I always end up waking very early. I’m not saying it’s a bad thing. But I need my rest! Take for example, yesterday, I slept at around 2am and just like clockwork, I opened my eyes around 7:30am. I really envy those who can sleep however late they want! It’s so weird you know! I need to reset my body clock so badly. The thing about waking up so early and not being able to just close my eyes and go back to sleep is this: a sluggish me. And I just hate that! So I usually drink a strong cup of coffee. But you see, too much coffee is not really good. I don’t want to be hooked on caffeine either. 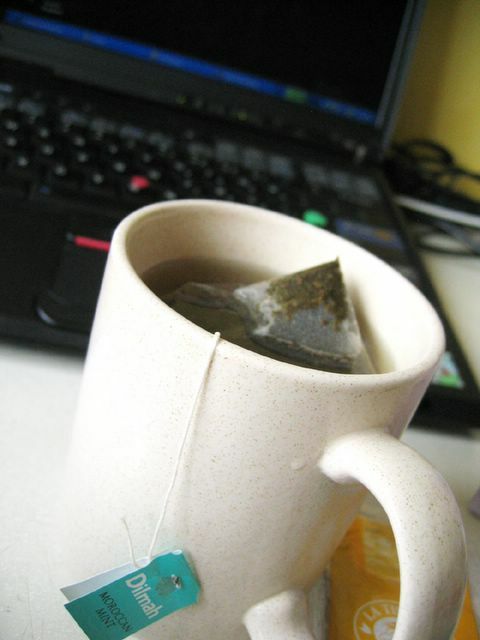 So these days, I depend alot on teas to kickstart my days or mornings. Teas have that effect on me – a refreshing wake-me-up that is light and not so unhealthy as coffee is (or maybe I’m just deluded! haha). Alot has been said about teas – how it has anti-oxidants which reduce free radicals blah blah blah. And you know what? I kinda believe it. I’m sure those of you who have read my previous posts on tea know that I do have an affinity for tea. Especially in the afternoons. Tea goes well with pastries too! 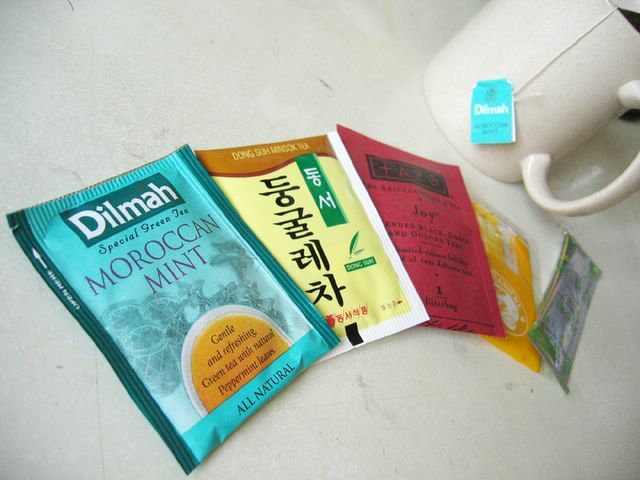 I do have a few favourites and I have this habit of checking out new teas whenever I go to a supermart or a teashop. In fact, I have this tin box that I use to store all my tea bags. From left: Moroccan Mint Green Tea, Korean Brown Rice Green Tea, Tazo Oolong & Green Tea, French Camomile Tea, Powered Green Tea. So now all of you know what kinds of teas I drink. Tea is magical. There’s just so many different types of infusions one can create. With so many choices available in the market right now, you’ll be spoiled for choice! Now you know why I like tea parties so much? Haha, it’s not just the cakes and pastries I love, but teas are so up my lane. Now, time for me to get my tea fix. Cheerios! 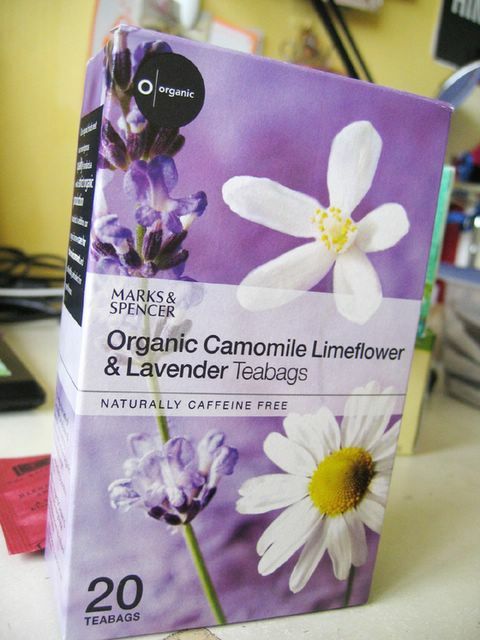 Hi, have you tried the Marks and Spencer Ceylon tea before? How does it compare with Lipton’s? And for the camomile tea, is the fragrant smell very strong? Hi! there’s nothing like Earl Grey Tea for me, but unfortunately you can’t get this brand here in Singapore. I would strongly recommend you to try “Whittard of Chelsea” Earl Grey Tea from London, if you or any of your friends happen to be there. They are simply the best I’ve ever tasted. Hi there…same here, love tea too. Been trying to find a place that sells Malt Tea, something I had at one of those hotel tea buffets, but till today I still can’t find a shop that sells it. You ever tried Japanese Royal Milk Tea? hey I’m a tea lover myself as well, esp earl grey tea! every tea lover( or not) should check out this place at Sixth Ave call Tea Party. It’s got 100 over selections of teas and a very very special YUMMY Duck Pizza (2thumbs up! ).